Devizes is a vibrant market town with a medieval past, wealth of history and architectural heritage. National Express recently quizzed the nation to uncover the top 15 UK streets you need to see. The people they questioned rated Devizes Market Place one of the prettiest streets in Britain. A Roman settlement existed here and several Roman finds have been recorded in the town. In the C11th the first Devizes castle was built by Osmund, Bishop of Salisbury. The castle was said to have been built on the boundary line between three ancient manors. The Latin for ‘at the boundaries’ is ‘ad devisas’, hence the town’s name Devizes. The original wooden castle burnt down soon after it was completed and later a stone castle was built. The town was besieged in the Civil War, and if you look closely at the tower of St. James’ Church, you will see the scars of that bombardment clearly visible. In May 1646, Parliament ordered the dismantling of the castle. Today all that remains is the original mound, the outline of the moat, part of the keep and traces of the foundations of the great hall. There are more than 500 listed buildings in the town and a wide range of traditional independent shops plus a regular Thursday market. 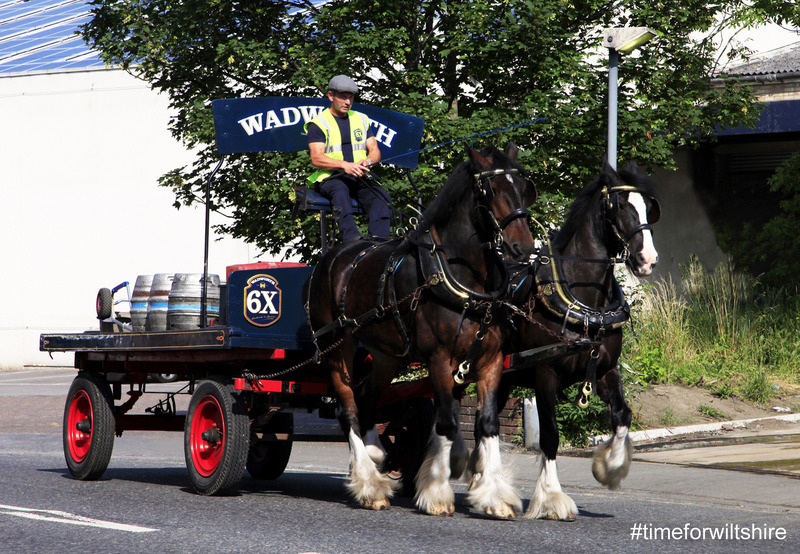 Take a tour of Wadworth Brewery, sample their famous 6X, see a unique collection of hand painted pub signs and meet the Shire horses that still deliver beer to the local pubs within the town. Take a stroll along the Kennet and Avon Canal to see the Caen Hill flight of 29 locks, a triumph of Georgian engineering. You can hire a 28 foot long self-drive day boat from the Devizes Marina Village. Alternatively, you can enjoy the canal from the comfort of a Canadian canoe. Visit the Wiltshire Museum which has award-winning galleries that tell the story of the Stonehenge and Avebury World Heritage Site alongside a display of gold from the time of Stonehenge. 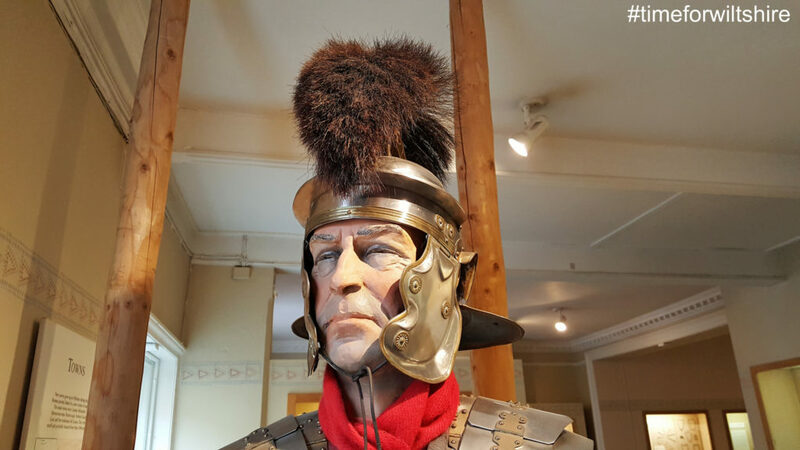 Director’s tours of the museum are available for those wanting to know more and it offers immersive and interactive displays which are superb for children of all ages. Carved in 1999 in celebration of the Millennium, the Devizes White Horse, is the most recent of Wiltshire’s White Horses. Located on Roundway Hill, it is the only horse in Wiltshire looking towards the Alton Barnes White Horse. Indulge yourself in culinary delights and learn some new skills at the Vaughan’s Cookery School. Devizes has a great sense of community and hosts a Food Festival in May. Every year in August the Devizes Outdoor Celebratory Arts (DOCA) runs a festival fortnight. There’s an outstanding programme of events with the International Street Festival and Carnival. The Devizes Arts Festival runs in June each year for two weeks and there is also a beer festival in July. A celebration of ‘Wild Wiltshire’ run by the Wiltshire Wildlife Trust, takes places in September when the Country Comes to Town. 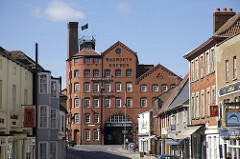 Wadworth Brewery has a visitor centre which is open 6 days a week all year round. The Vaults Ale House and Beer Shop offers cask ales and ciders and a menu of delicious locally-sourced pies while The Marina Café on the Kennet & Avon Canal serves breakfasts, sandwiches, paninis and salads alongside homemade cakes and chocolate treats. The George and Dragon at Rowde is a traditional village pub with two AA rosettes serving fresh fish delivered daily from Cornwall. The Rowdey Cow Farm Café and Ice Cream Parlour offers homemade ice cream made from their own cow’s milk! The Castle Hotel is an C18th coaching inn. It has 19 rooms, a traditional bar and a restaurant with roaring fires in the winter. 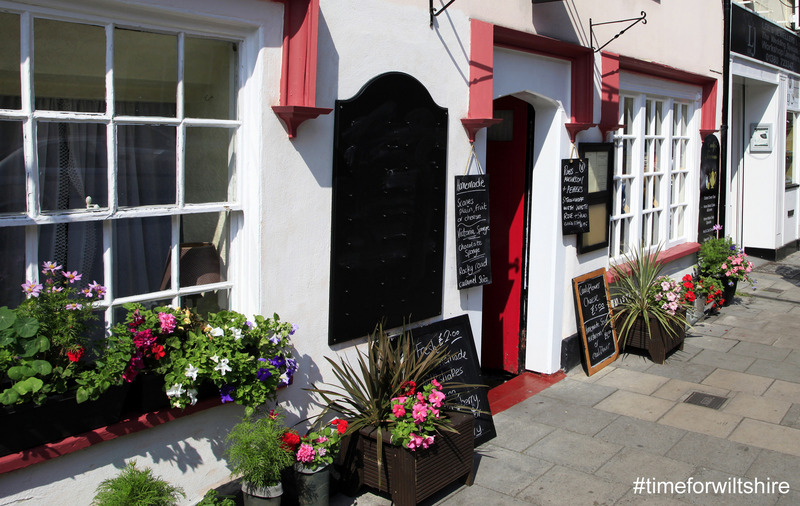 The Bear Hotel, also in the town centre, has 25 rooms with first-class facilities and fine dining. Close to the Caen Hill locks, Avalon Lodge is a large family house with rural views. In the nearby village of Potterne is a traditional rural farm stay property Blounts Court Farm. 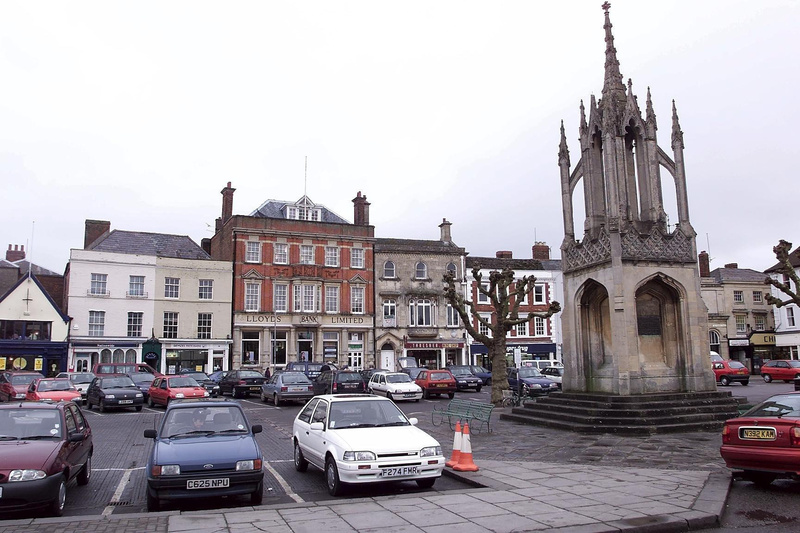 Devizes is at the heart of Wiltshire, around 20 miles south of Swindon and 25 miles north of Salisbury. The nearest railway stations are at Chippenham (12 miles), Melksham (10 miles) and Pewsey (13 miles). There are also regular coaches from London and Bristol. Devizes has obtained coach friendly status from the Confederation of Passenger Transport (CPT) and welcomes group visitors. 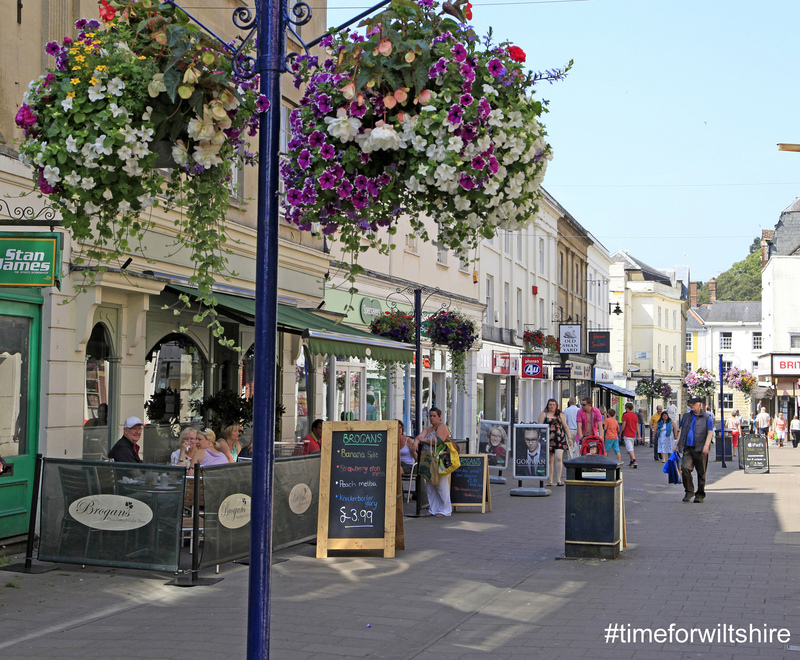 Devizes makes a great base from which to explore the timeless county of Wiltshire. It is close to Stonehenge and Avebury World Heritage Site and tranquil walking and cycling in the Vale of Pewsey. For golf enthusiasts there is the North Wilts Golf Course or Sleight Valley Golf Driving Range nearby.